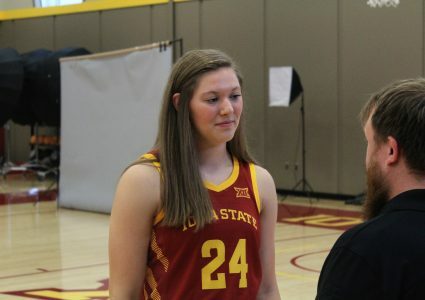 IRVING, Texas – Sophomore center Kristin Scott and freshman guard Ashley Joens swept Big 12 Weekly honors, collecting both Big 12 Player and Big 12 Freshman of the Week, the league announced Monday. 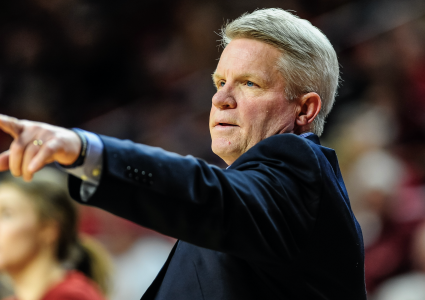 The award is the first for Scott and the second-straight honor for Joens. 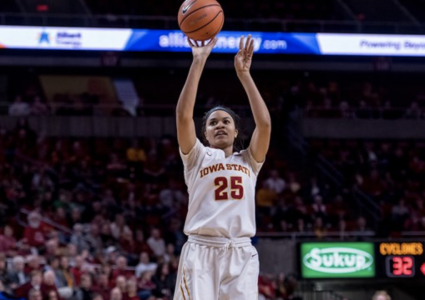 Scott entered the Iowa State record books on Saturday, becoming the new single-game leader in field-goal percentage, connecting on all 11 of her shots from the floor in ISU win at Oklahoma State. Even more impressive, seven of her 11 makes were 3-pointers. She netted a career-high 31 points and grabbed 12 rebounds for her fourth-career double-double. She is also the first power-five player dating back to at least 199-00 to score 31 or more points and remain perfect from the floor. Scott also netted 12 points and grabbed eight rebounds at No. 2 Baylor, finishing the week averaging 21.5 points and 10.0 rebounds per game. Scott is currently the Big 12 leader in field-goal percentage and 3-point percentage in conference play, netting 68.7 percent and 60.7 percent respectively. Joens was crucial in Iowa State’s win at Oklahoma State, netting 17 points and grabbing seven rebounds. Joens knocked down three triples for the Cyclones and was strong on the defensive end. Joens is second in 3-point percentage in league games, sitting just behind Scott netting 47.8 percent from the floor. No. 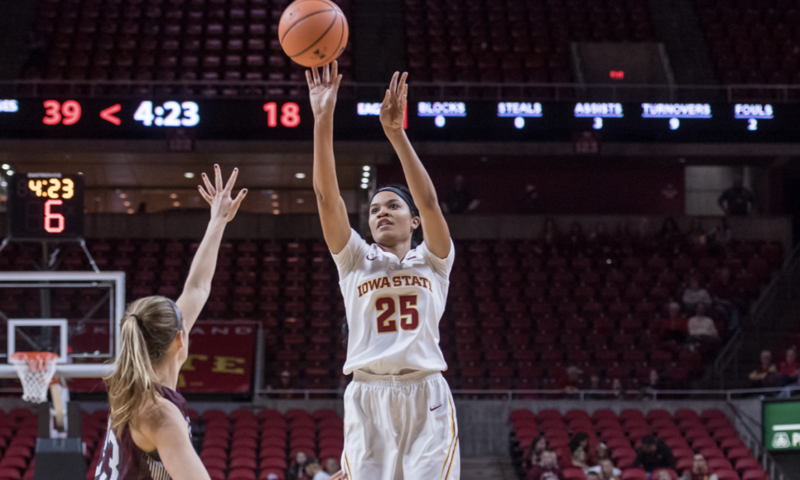 23 Iowa State is back in action on Tuesday, Jan. 29 at 6:30 p.m. when it takes on Texas Tech at in Hilton Coliseum.